You’re a rugby fan when . . . you want to cheer yourself up when the results aren’t going your way! 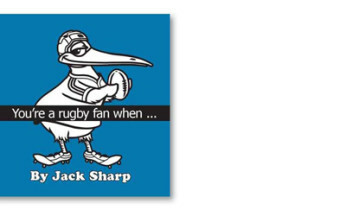 This neatly–packaged hardback finds more than 100 ways to remind you what’s great about being a rugby fan in a way that makes you smile.